Rebecca is responsible for building and extending the global impact of CIFAR’s research through high-quality engagements with innovative leaders in business, health, policy and international development. She heads up CIFAR’s strategy to grow and secure funding from governments in Canada and abroad and leads a team of knowledge mobilization experts who specialize in knowledge exchange, policy, government relations and innovation. 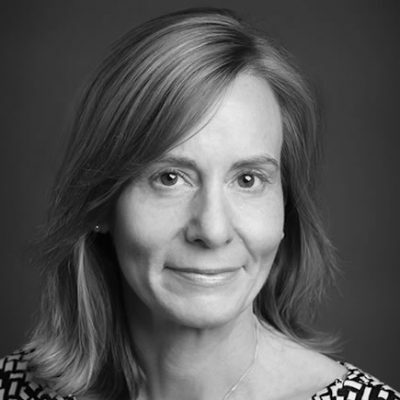 Prior to joining CIFAR, Rebecca was Senior Advisor, Communications with the Toronto Region Research Alliance and previously, Group Director, Public Affairs and Cancer Control for the Canadian Cancer Society and National Cancer Institute of Canada. Before moving to the non-profit sector, she built strategic partnerships as First Vice President, Financial Institution and Partnership Marketing for Bank One International and Vice President, Member Business Management with MasterCard International. Rebecca is an active volunteer, having held positions on non-profit and hospital boards. She completed an M.Phil. in Social and Political Sciences at the University of Cambridge and holds an Honours BA from McGill University.